Share, Pin or Retweet If You Like Writing. What’s a good science story? Beyond the incoming asteroid story, you mean? I’m never been a writer who spent a lot of time on what you might call “big” science stories. I like the view through a small lens. My favorite stories are ones that illustrate the ways that science is essential to our everyday life. That’s partly because I’ve never really liked, as they say, preaching to the choir. The audience that interests me doesn’t really dwell in the science inner circle but outside of it. It’s always been my favorite challenge as a writer. How do I reach the person who walked away from science in high school – decided that it was too hard, too boring, too irrelevant? So what I think of as good science story is one that has some power to seduce, as it were, a member of the science-disenfranchised. One of the biggest thrills for me, after my book, The Poisoner’s Handbook, was published was that it was a finalist for a murder mystery award (the Agatha), True, in the non-fiction category, but what a great, difference audience for a geeky little chemistry obsessed science writer like me. Or to give you another, more recent example – consider the complex chemistry and biology of plants. It sounds like a dust-dry topic but I love being able to demonstrate that it’s wholly fascinating. So stories about plants run like a theme through my Wired blog – the chemical reasons that chocolate is poisonous to dogs, the way that rice plants have an affinity for arsenic, for instance. Or the surprising way that grass – plain old grass in a Texas field – can in conditions of stress, actually generate hydrogen cyanide and kill cattle. The grass story reminds me of a point that the 19th century psychologist-philosopher William James liked to make. That what science shows us, time and time again, is that the real world is a fantastical, wonderful, impossibly complicated piece of work and “nature is everywhere gothic.” When I’m aiming high, I like the idea of being a kind of “gothic science writer” in the best Jamesian sense! I used to play a game with myself when I would start writing a story. I’d write the first paragraph and then I’d put my hand over everything but the first sentence. And I’d say to myself “Would I want to read the second sentence?” And if it didn’t seduce me into the story, then I’d start over. I remember the novelist Ian McEwen discussing his book Enduring Love (one of the best double-edged titles ever) and saying that he set himself the task of writing a compulsively readable opening. I think the point of an opening line is to make the reader want to read the next one. I also like the way it can set tone, voice, foreshadow the style of a piece. Also, I should say, before I write a story I like to know where I’m going to start it and how I’m going to end it. And so I start playing around with an opening line in my head sometimes days before I sit down to write a piece – read through my notes, let ideas rattle around in my head, read through my notes…and think about story. I don’t think a first line has to give everything away, just to draw in the reader. I start by doing a lot of homework; I’m actually a kind of neurotic over-researcher (which you could probably tell from all the note reading in the above answer). I don’t know what questions I want to ask unless I know something about the person I’m talking to, their background, their area of interest. If I don’t have time to read their publications in advance, I’ll at least do a scan through Google Scholar so that I can see a list of their work, what’s recent, what their primary focus might be. I try to know in advance how I’m going to focus the conversation. And a good interview is much like a good conversation in which you encourage the other party to talk about something that’s important to them. My basic approach is the friendly, informed listener, I guess. And even when I do investigative reporting – and I’ve done a lot – I usually start from that position and then get a feel for any hostility. If it’s obvious that I’m talking to someone who hates the story – and by extension me – then I make it very clear what I know, I’m very direct, and I ask my toughest questions – the ones that get me thrown out – at the end. If you need to stay on track during this process, we suggest that you take a look at the advice contained within the Get It Done Writer's Toolkit CLICK HERE! This is a ebook/audio CD combination set that can teach you how to brainstorm as well as overcome writer's block and procrastination. It will also help you stay on schedule and meet writing goals so you can finish that science article, blog or ebook! As you know, they’re a wonderful tool for making a difficult concept more real – more visual, I suppose – and sometimes more interesting. 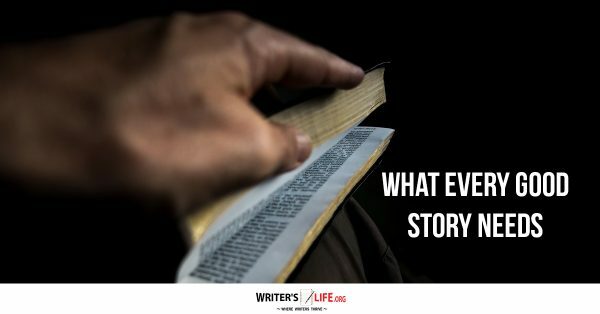 I use them to illustrate a tricky concept or to add a kind of sense of drama to the story that might otherwise be too dry and encyclopedia-like in tone. 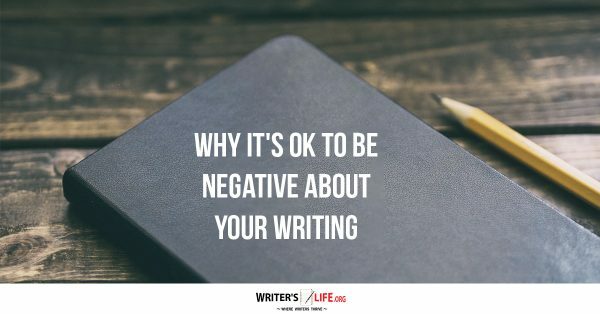 I’ve written often, for instance, about carbon monoxide poisoning. How does it work? As it turns out carbon monoxide has a much stronger affinity than oxygen for hemoglobin, the iron-rich protein in our blood. Normally, we breathe in oxygen, it binds to the hemoglobin, and is ferried throughout the body to do its work. But if there’s too much carbon monoxide in the air, that stronger affinity prevents oxygen circulation. When I’ve written about this I’ve compared carbon monoxide to “a chemical thug” one that “muscles” oxygen out of the way and takes its place. Obviously, it’s not quite that cinematic. But it allows me to create a clear image in a reader’s mind of a chemistry-based process and I hope, a vivid one. More than I’d like (see “neurotic over-researcher” above). So I usually have enough material to write a story three times as long as the length I’ve been assigned. I never begin a story before I’ve first gone through a sift and winnow. But I like working that way – I want to know more than is actually in the story because it helps me be sure that I’ve got the context right and that I’m focusing on the most essential points – and hopefully the most interesting ones. But how do you decide what’s not essential. Usually it’s because it’s information that takes the reader on side-trip. That is – I usually see a story as a journey that follows a main path. And I’ll use the facts, the details, the people, the facets of the science that all follow logically along that path. My goal is a sort of story that flows forward. Sometimes I’ll discover these amazingly cool facts or stories while I’m doing the research and I’ll want to include them but, sigh, I’ll realise that they are a side-trip from that main journey. And you really have to decide as a writer how many side-trips your reader is willing to take before they just give up on your point. When I was working on The Poisoner’s Handbook, I was researching the history of Prohibition – the 1920s ban on alcohol consumption in the United States – because it really formed the backdrop of my book. And I found this great anecdote about a very wild rum-runner (smuggler) named William McCoy who was guaranteed to deliver the goods – legitimate rum rather than the many fake varieties. His stuff was so good that it was known as “the real McCoy” – and that phrase became part of American popular culture. I love those language stories and so I wrote it into the book. And my editor took it out. And I put it back in. And she took it back out. And finally she said to me – quit putting that in! It’s a great story but it doesn’t do anything for the poisonous narrative you are trying to build. So it’s not in the book. But, as you see, I kind of love the anecdote so I keep telling that story in other ways – like here. I’m not a big fan of the He said-She said model of journalism, which often superficially passes as something objective. And I think it can be intellectually dishonest. We’ve certainly seen this with global climate change reporting in which reporters felt that they had to report both sides and would often end up going to industry-funded scientists for the “other” side of the story. The result was that the stories often inaccurately conveyed that the industry’s rather political position against climate change findings carried exactly the same weight as a scientific consensus for them. And the result of that was, I’m afraid, to enable some of the denialism that goes on today. So I’m not a big fan of the traditional model of “objectivity”. I try to think more about telling an honest story. To me that means doing enough research that you understand what the important points in your story might be. And then – absolutely – providing the reader with the evidence that underscores why you think those points matter. 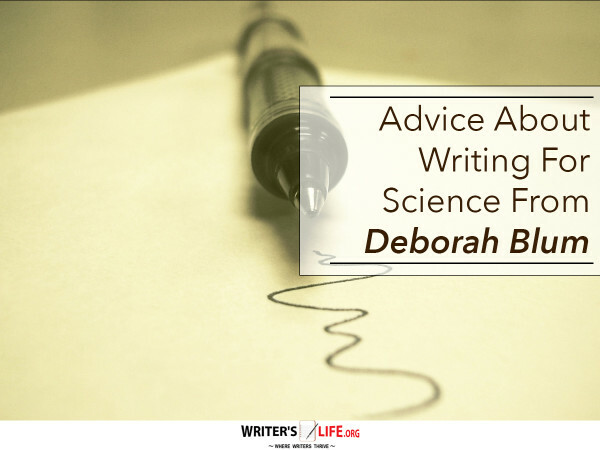 What’s the biggest potential pitfall when writing about science? I think there’s something of a natural cultural conflict between science journalism and science. The media, by nature, are event-driven – and when we report science as news we often report it that way: a finding, a result, or more hyperbolically, a “breakthrough” or a “discovery.” And I think this can misrepresent the way science works. First, of all, science is really a process of inquiry in which “non-events” – negative findings, tedious replication works, all count. But the news cycle tends to obscure that. And it tends to exaggerate the importance of some findings, because they better fit the news definition, sometimes at the expense of real public understanding of research. I think we’re much more aware of this and in the science writing community there’s a real effort to avoid words like breakthroughs. And I think we’re getting smarter about putting this work in context. When I teach science writing, I remind my students that science is, at its heart, a human inquiry, just people trying to understand the world around us. And that if we fail to convey that, we aren’t really doing justice to what makes it so difficult, so fascinating, and so important. Do you have an interest in science and would you like to become a freelance writer? If so you might find The Get Paid to Write course CLICK HERE! 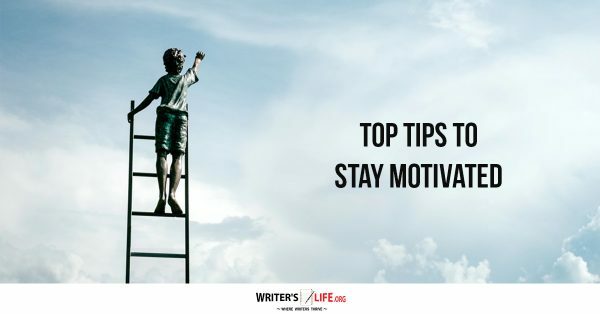 that Writers Life offers to be invaluable as it will teach you how to become a skilled, sought-after writer of science and other kinds of articles if you like and also be well paid for them. A well written and enjoyable piece of writing, The information and the newsletter was very interesting and kept my attention at all times. I’m not interested in freelance writing, but I’m a writer, and write for pleasure. Thanks for sharing your writing experiences with me.